RioCan is making a major shift in strategy. RioCan has embarked on a plan to own apartments as consumers retreat from the shopping centres that have defined the real estate investment trust for more than two decades. RioCan Real Estate Investment Trust, Canada’s biggest mall owner, expects to pull in upward of 10 per cent of its income from apartments, a shift for the landlord, which built its reputation on shopping centres. “We envision this being a substantial part of our portfolio, one that will drive a lot of income,” said Jonathan Gitlin, RioCan’s senior vice-president of investments, who was put in charge of the RioCan’s newly established residential division, RioCan Living. 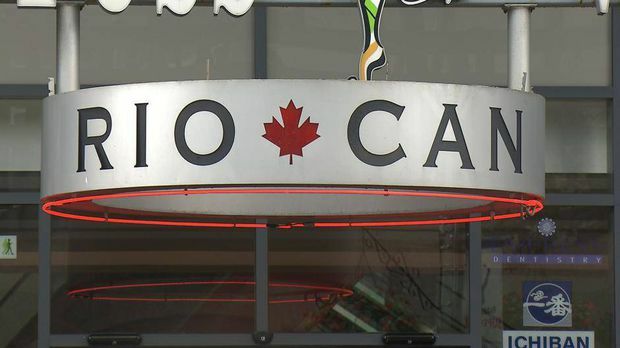 In five years, RioCan expects that up to 5 per cent of its operating income will come from residential and in about a decade, its goal is 10 per cent or higher, according to a RioCan spokeswoman. Apartments or multiresidential buildings are a bet on the future for RioCan, which has witnessed retail falling out of favour with investors. So far this year, its value has dropped 4 per cent to $23.50 a unit on the Toronto Stock Exchange, matching a similar level in 2006. Despite investors’ distaste, RioCan’s funds from operations per unit, a measure of cash flow, has increased to $1.79 in 2017 from $1.68 in the previous year. The retail industry is undergoing a transformation as consumer shopping habits change and e-commerce proliferates. Traditional bricks-and-mortar retailers are racing to stay relevant. Hudson’s Bay Co. is in talks to sell one of its top properties in Vancouver, which is jointly owned with RioCan. RioCan itself has had to grapple with large empty spaces over the years when some of its largest tenants – Sears Canada and Target Canada – shut their doors. Although the trust is securing new tenants and is reducing its exposure to the weaker Canadian retail markets, investors are not buying it. RioCan has identified 43 retail properties that will be redeveloped into apartments and other multiresidential buildings across its six major markets in Canada. It says that has the potential to produce more than 20,000 residential units. Nearly three-quarters of its new buildings are slated for the Toronto area, where the apartment-vacancy rate is rock bottom. Another 10 per cent are destined for Ottawa and the rest will be in Vancouver, Calgary and Edmonton. Currently, RioCan has about 2,800 units in eight buildings under construction, including a massive project just west of Toronto’s downtown core. But it’s not going to be easy. In addition to new rent-control measures in Ontario and changes to the province’s land-use tribunal, RioCan’s expertise is not in multiresidential buildings. “It is going to take time to figure it out. It’s not as easy as everyone thinks that I am just going to start building apartments,” said Paul Finkbeiner, the president of GWL Realty Advisors, which has operated and developed offices, multiresidential and retail properties for more than two decades. “When I build retail, I build a box and I dress the box up. When I build apartment buildings, I got to build bathtubs, kitchens, appliances, hallways, laundry rooms. It’s very different,” Mr. Finkbeiner said. The way Mr. Gitlin sees it, RioCan will draw from its huge pool of retail tenants and mix them with its future residents. For example, one of its tenants, Cineplex, could offer to show new movies to RioCan’s apartment residents. “If you look at our sphere of tenants, you can imagine restaurants doing a food night or tasting night. You could imagine bookstores having authors coming in and read,” he said. RioCan observed how the proximity of a condo to one of its malls helped. RioCan is not the only developer that has embraced multiresidential, which is one of the hottest types of commercial real estate in Toronto and Vancouver. SmartCentres REIT, which is known for its power centres with Walmart stores, is teaming up with residential and other partners to expand into new types of uses.